This service is for people in non-managerial positions. Includes a 45 minute consultation by phone, Skype or face to face (Caversham). This service is for people in managerial / professional positions. Includes a 1 hour consultation by phone, Skype or face to face (Caversham). This service is for people at Senior Management / Director level. Includes a 1.5 hour consultation by phone, Skype or face to face (Caversham). This service is for Senior Directors / CEOs. Includes a 2 hour consultation by phone, Skype or face to face (Caversham). I offer 4 packages: Bronze, Silver, Gold and Platinum. Target your CV to the role you wish to apply for next, with key word optimisation. 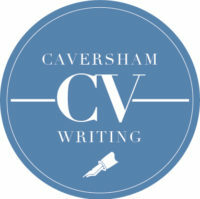 Write a draft 1-2 page CV for your review, within 5 working days of consultation / payment. Provide a final CV in Word and PDF. Complete an on-line personality test; the test I recommend is free and takes about 15 minutes to complete. Complete the Information Gathering Form I send you, which gives me lots of information about you, your skills, experience and achievements. Provide information on a specific job description / role type that you would like your CV to be tailored to. Cover letters can be key to being selected for interviews; they enable you to really target your skills and experience to the role you are applying for and show the employer what you have to offer them. I will write you a cover letter that is well presented, well structured and that ties in with the CV written for you, in terms of layout and style. Please note I only offer this service if you are having a CV written by me. £175 (£90 if also writing CV) - up to 9 years' experience. £215 (£105 if also writing CV) - 10+ years' experience. £250 (£125 if also writing CV) - senior/executive roles. A good LinkedIn Profile can open many doors for you – as an on-line CV it has become a hugely popular resource for job seekers. I make sure your profile is fully optimised and search sensitive, using key words to have a great impact. This service includes a 1 hour consultation by phone or Skype (shorter consultation if I have already written your CV). I will write or update all parts of the profile to show off your experience, skills, endorsements and education. A reformatted CV for those who are happy with the content of their CV. For this service, I reformat and improve the layout of your existing CV, proofread your CV, correcting any grammatical errors and spelling mistakes.